The Boaacoustic cables’ colorful unique design quickly catches your eye. This is an advantage when you want to stand out in the wide selection of cables on the market. Just what qualities are hidden beneath the colorful exteriors? Oh no! No more cables! 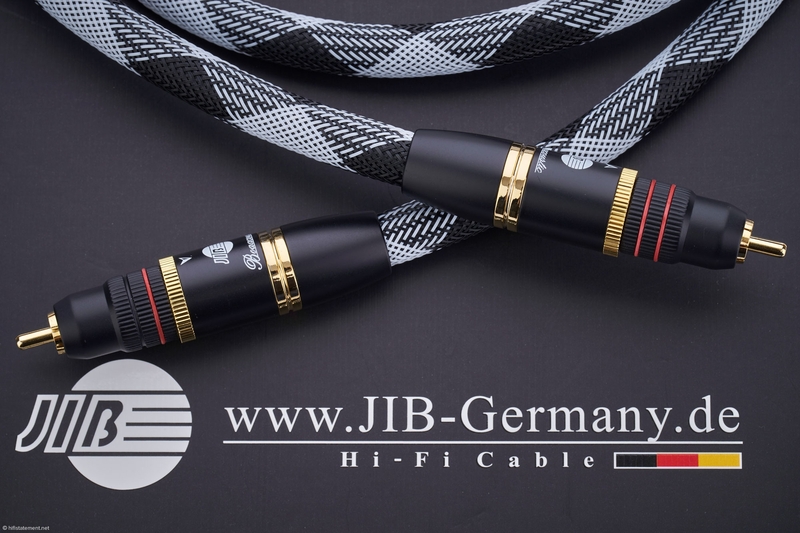 That was my first reaction as a former sales colleague introduced me to the JIB-Boaacoustic cable assortment while I was visiting the 2018 High-End trade show in Munich. I had already taken notice of their impressive booth. The former colleague was determined to introduce me to the Boaacoustic brand line-up, and he succeeded to gain my interest. 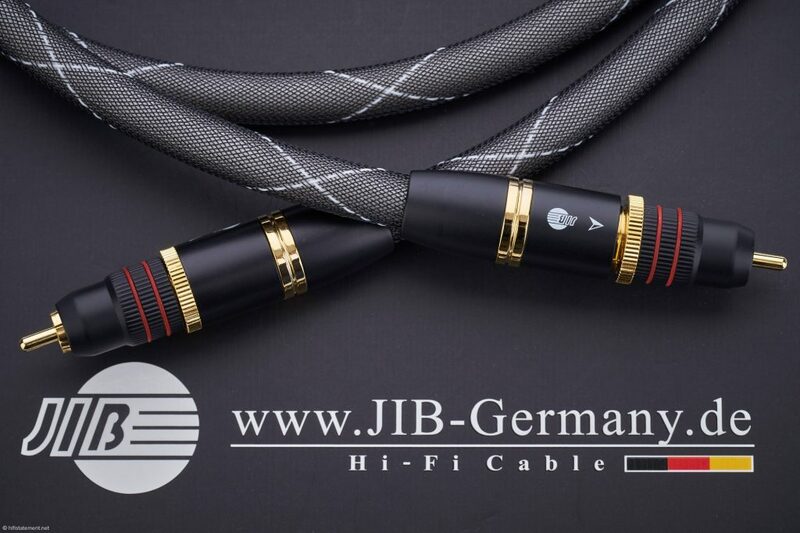 Perhaps you have already noticed the pictures of several of these cables in my article covering the High-End show (see the archives at HiFi Statement). You probably also noticed how the cables were on display—coiled up like a snake—sending a clear signal to the brand name Boaacoustic, manufactured by JIB-Germany Technology GmbH located just south of Germany’s capital city of Berlin in Mahlow, Brandenburg. The various cables are produced and custom assembled by skilled workers hands at this location using raw materials imported from carefully selected suppliers in Japan. JIB’s website shows photos of the production site. 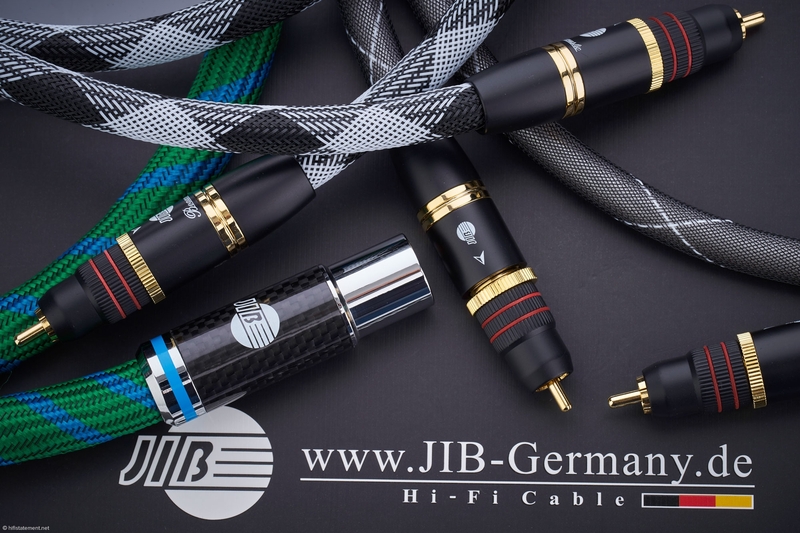 JIB produces a wide range of audio cables in various price segments. The most expensive set of speaker cables named “Silver Zircon BFA” has an MSRP of 16.660 Euros for the configured 3 meter pair. In comparison, the entry level 3 meter set Cobalt carries an MSRP of 880 Euros. Boaacoustic also supplies cable in bulk running lengths, used for installing complex in-car high-end audio solutions. The line-up can basically be separated into two different categories: copper only and silver coated copper. The share of digital audio cables in the range is somewhat limited. In both categories, two TOSLINK optical cables, one USB, two S/PDIF and one AES/EBU XLR cable are produced. This review covers the last three types. One of the two S/PDIF coaxial RCA cables is from the copper-only category and is named Premium Line Digital Diamond. The 1.5 meter long cable has an MSRP of 250 Euros. 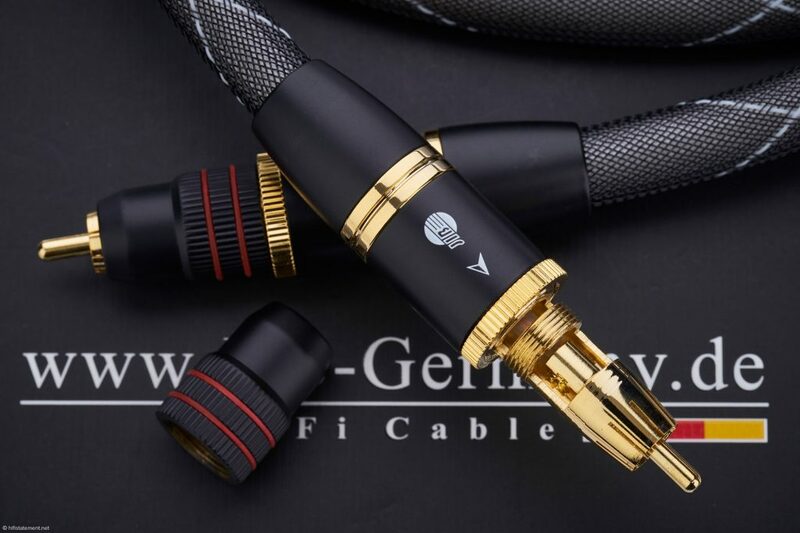 The 1.5 meter long luxury Line Silver Carbon S/PDIF cable has an MSRP of 1.000 Euros and belongs, as its name implies, to the silver-coated copper cable category. This also applies to the Silver Digital Krypton—the only XLR digital cable in the Boaacoustic line. The 900 Euros MSRP 1 meter length was provided for this test. The 1.5 meter length carries an MSRP of 1.020 Euros. 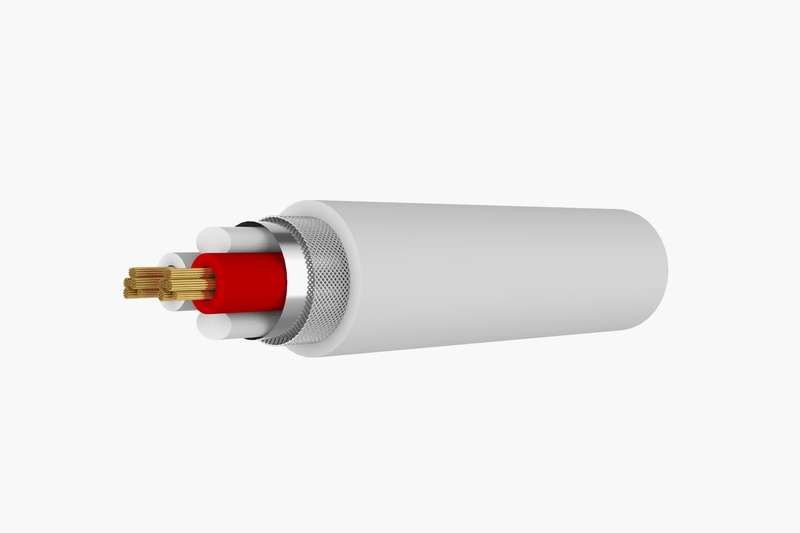 Both, the coaxial and the XLR silver coated copper cables, are in the same price range. Both S/PDIF cables have a gray/white outer sheath of different designs. 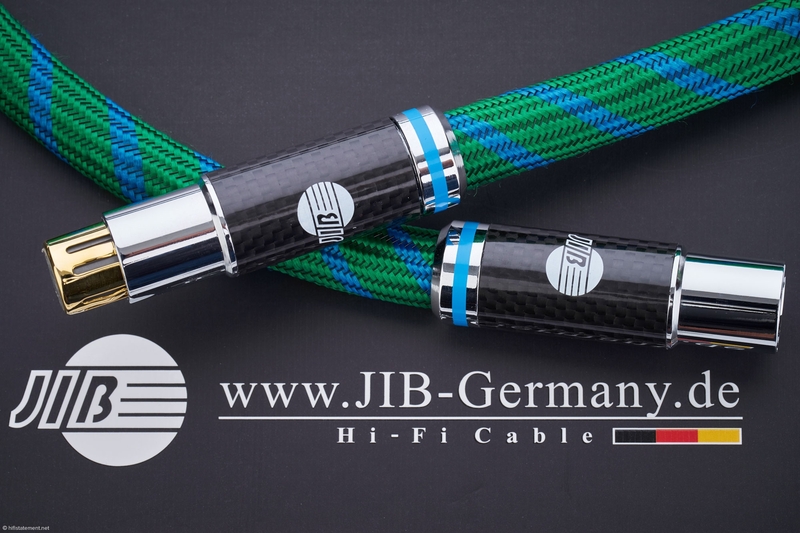 The XLR Digital Krypton cable has a green/blue outer sheath and is a real beauty. JIB supplies some—but not that much—information about their technical construction and material properties used. After all, as with other cable manufacturers, nobody is willing to reveal their trade and manufacturing secrets that make their brand unique. JIB gives evidence that they publish honest product specifications. I think it deserves respect that they state that their high quality AES/EBU, 110 Ohm cable can have a 20% impedance tolerance. They could have just kept that information to themselves. Digital cables having a standard impedance, for instance 75 ohms for S/PDIF coaxial and 110 ohms for AES/EBU cables, are not only influenced by factors in the cable itself, but also by factors within the connector used. My experience shows that manufacturers often tend to comment very loosely when asked about the technical specifications of the RCA and XLR connectors they use. I get comments along the lines of “that doesn’t really matter much.” When I asked JIB about the connectors they use, I was informed that the specifications of the 24-carat gold plated connectors are integrated in the engineering of the total technical concept. Their connectors give a remarkable impression. Their individual parts fit solidly together and confirm an elaborate construction. The connectors on the S/PDIF cable can be tightened with a twist onto the audio component’s jacks, which guarantees a solid, tight, proper connection. The two S/PDIF cables are constructed with different materials. The least expensive Digital Diamond S/PDIF cable from the Premium Line is made using high value OCC-6N copper stranded wire and has the largest gauge among all three cables. JIB quotes all wire sizes in their products in AWG. This stands for American Wire Gauge and the specification is used in markets worldwide. This is a somewhat confusing specification for those living in countries with the metric system standard, as a lower AWG number means a larger wire diameter. The 20 AWG in the Digital Diamond is achieved by weaving seven times eight single strands each having a diameter of 0.12 mm. Applying a special production process created by Professor Ohno in Japan, the high purity OCC-6N copper takes on a structure in the whole wire which comes close to being a single crystal. This mono-crystalline structure guarantees excellent conductive properties. Both the higher priced S/PDIF Silver Carbon as well as the symmetrical Silver Digital Krypton cables profit from the better conductivity properties of silver. 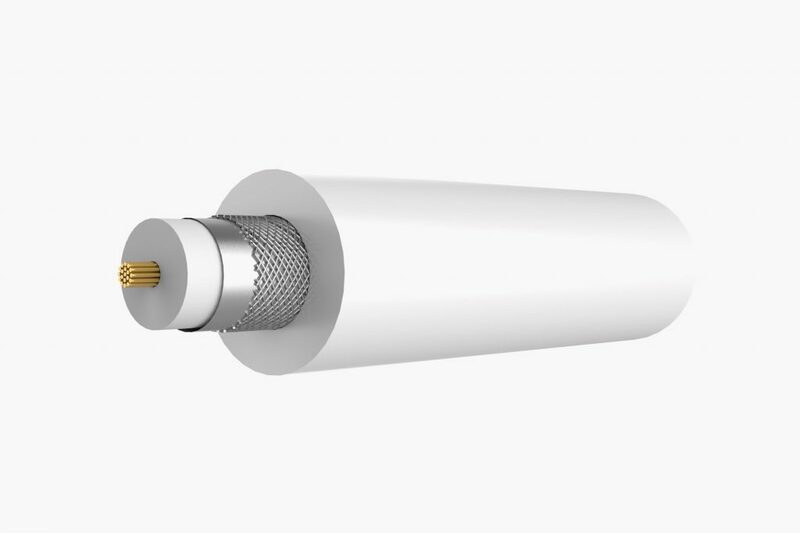 The 22 AWG wire used in the coaxial Silver Carbon is interwoven using 40 mono-crystalline single strands each having a 0.12 mm diameter and individually silver-coated. As higher frequencies in AC current tend to flow along the outer surface of a conductor because of the skin effect, the silver coating on the OCC-6N copper strands improves the current flow through better conductivity. The symmetrical AES/EBU Silver Digital Krypton cable has twin conductors, each having 24 AWG dimensions. Each conductor is interwoven from 19 single strands having the same properties and quality as used in the Silver Carbon. The effective mass of the conductors is hereby less, however, the symmetrical architecture applied guarantees an identical flow of current in the opposite direction as it doesn’t flow through the shielding. The inner conductors are not soldered, but are affixed using screw type clamps. This improves quality by eliminating the undesirable oxidation influence of solder. PVC is used for the conductor insulation material. White PVC insulation is used for the pure copper S/PDIF cable, while black PVC is used to insulate both higher-priced silver-coated conductors. Shielding is always double and consists of a layer of rolled aluminum surrounded by a mesh layer of zinc coated copper. Screw clamp connectors are also in use here to make contact to the shielding. Renderings provided by JIB clearly show all the cable components. The distinct optics are achieved through applying a uniquely designed nylon web outer layer. The blue/green web used on the Silver Digital Krypton is a nylon/cotton mix. My set-up for the listening tests is comfortable and not complicated. The Melco Network Player is connected to a Mutec Smart Clock using an Audioquest USB cable. This makes AES/EBU and S/PDIF outputs available. The same connection possibilities are on the Audio-gd D/A Converter. For the first sound comparison I let the Digital Diamond S/PDIF compete against my proven Sommer Cable Carbokab, which is an AES/EBU. I only have to switch the input on the D/A Converter to do a direct A:B comparison. The Carbokab comes from the pro segment and behaves very neutral in my set up. Cables of several well respected brands tested in the past have not been able to deliver a more convincing performance. In comparison to the inexpensive S/PDIF from Boaacoustic, the Carbokab had to experience defeat. The Digital Diamond was convincing in many music genres and definitely superior in reproducing classical and other technically good recordings with better structured bass and foundation. The cable presented the sound stage with more depth and the music was performed more lively. Only the digitally remastered Rolling Stones album Aftermath from the 80’s sounded thin and somewhat nerve irritating. The Carbokab made the questionable tonal balance of this recording a bit more tolerable. Next I exchanged the Sommer Cable with the high priced Boaacoustic AES/EBU and compared it to the less expensive S/PDIF. To my surprise, the Stones sounded really good: well balanced, precise, not harsh, with lively timbres, dynamic and loud. There they were, just like they always were. I can’t explain it. Previously, except with the luxury cable from Kubala-Sosna, I had the experience that high priced digital cables which were agreeable in tonal range, spatial characteristics and tonal colors also had a blanket of dullness or imparted laziness to the music performance. The JIB Silver Digital Krypton delivered a completely different performance. In comparison to the Digital Diamond good quality recordings sounded more lively, delivered more fine detail, were profoundly outlined and layered. It seemed that the music was being played with just slightly more speed. The vocal spectrum on the high-res album Nouveau Monde by Patricia Petitbon appeared more direct and full of energy. The difference was remarkable. The quality gain from the Digital Diamond versus the Carbokab was clearly verifiable. You don’t have to be blessed with the absolute pitch to be able to experience the additional advantages of the Silver Digital Krypton. In the Melco-Mutec-Audio-gd-chain, the gain in musical value could not be denied and justifies, in my opinion, the price difference. Next I switched the S/PDIF cables; replacing the Digital Diamond with the Silver Carbon which is in the same price category as the XLR it must now compete against. I listened to many different titles stored on the Melco, and simply could not make any kind of a significant comment. Sometimes I was under the impression the S/PDIF was a bit warmer and the AES/EBU just a whisper more filigree. It was not possible for me to rate the differences, as from moment to moment the impressions switched back and forth. Without the direct comparison and playing the same music passages over and over again, I would not have been able to detect these minute differences. In my opinion, both of these high priced cables perform at the same level and if I had my choice, either one would make me happy. The main reason I would choose the Silver Digital Krypton is I like its bright color design. A view inside the RCA connector on the Digital Diamond shows how the conductor is attached using a screw clamp solution. The screw threads are visible at the left side of the opened connector. In order to verify the positive experience in another constellation, I exchanged the Melco with my CD Player. First, I connected the CD Player with both the Sommer Cable and the high priced Boaacoustic S/PDIF to the Audio-gd D/A converter. Immediate results were delivered from the live album Memory Lane by Cécille Verny. After the first listening tests this result was no big surprise. The Boaacoustic revealed much more fine detail and provided significantly better structure in staging the music. This was a significantly higher level of sound than with the Carbokab which sounded flat and lazy in comparison. The Sommer Cable also had to take second place in comparison to the less expensive Silver Carbon with the CD Drive as the source. The differences were not that large, but easily audible. The bass drum was a bit more crisp, the cymbals more brilliant and above all, Cécille Verny’s vocals were more natural because they came across somewhat fuller and more forward. Overall, the staging seemed less cluttered. The ensemble played their music with a bit more dynamic and intoxicatingly rhythmic. The bottom line was, the Silver Carbon simply delivered a higher fun factor. The size of the grand piano in the second movement of Beethoven’s Piano Concerto No. 3 with Ronald Brautigam and the Norrkoepping Symphony Orchestra under Andrew Parrot became clearly evident as soon the lower-priced Boaacoustic was in play. The tones had an effect of being more steadfast. As with the Sommer Cable, the tonality of the string instruments appeared supple, showing more nuances and openness. The Digital Diamond confirmed its capabilities with the last album from Frank Zappa, The Yellow Shark. But how would it stand up against the 4 times more expensive AES/EBU? Once again, the better being the enemy of the good was proven. With the Silver Krypton in play, the multi-layered sound experience from Frank Zappy and the Ensemble Modern showed more tonal colors and more transparency was fascinating—leaning towards explosive. Each single instrument stood out more clearly and above all, gave a vivid impression interlaced with finer detail reproduction. The high priced S/PDIF, in comparison, delivered a touch more weight—in a positive sense—and played a little more forward than the XLR. With Cecilla Bartoli’s album St Petersburg, I preferred the XLR again with the Cimarosa piece “Agitata in tante pene” as it gave the strings a breath more fine resolution, whereas the S/PDIF contributed more warmth. These differences are also just a matter of personal taste. Both silver-coated Boaacoustics have mesmerizing characteristics. Listening to music with them is extremely fascinating. In closing, I wanted to test the cables using a different D/A converter. I selected the Antelope Zodiac+, which doesn’t match up to the Audio-gd response in the areas of fine definition and spatial performance. I wanted to find out how much the sound quality is influenced by a lesser performance DAC. So I started by comparing the XLR with the lower priced S/PDIF. Here also, the differences were evident, however not as significant as before. This was particularly valid with the spatial projection. Johann Sebastian Bach’s Violin Concert in a-moll with Yehudi Menuhin from 1960 in the XRCD-24 version from Hi-Q Records sounded clearly more spread out and more detailed, lighter and more rhythmic through the expensive XLR. However, the less expensive S/PDIF delivered an outstanding impression with a voluminous and simultaneously highly transparent presentation. The Sommer Cable delivered a more held-back performance. The Digital Diamond was definitely superior as it gave the Bach violin concert more luster and exposed fine detail. The sound impressions received from Jennifer Warnes CD The Wall confirmed that superiority. Listening to the title song proved that the Digital Diamond could keep up astonishingly well with its higher priced sisters. It clearly differentiated the second vocal and gave the drums attack and tonal colours. The costly AES/EBU XLR could not demonstrate its superiority over the Digital Diamond on the Antelope DAC as clearly as on the superior Audio-gd converter. The layering and spatial precision were less 3-dimensional. In comparing definition and fine detail reproduction, it won by a nose here. The comparison between both silver coated Boaacoustics on the Antelope DAC ended in a close draw. The differences determined will most likely lay only in the area of personal preference. The Boaacoustic cables were very convincing to me. You certainly get superior workmanship and quality materials for your money. The sound advantages all three cables can deliver are remarkable and improve digital playback significantly.